If you had an electron microscope you couldn’t locate my interest in the end of this semester. I have turned in one (1) paper. I still have to finish, polish, format, and turn in one (1) paper. I have finished teaching for the semester. I still have to administer, grade, and input about one hundred (100) essay exams. I have bought a ton of books on Amazon. I have yet to read anything non-historiography-related without feeling guilty. There you have it. About half finished. At least if we combine the bad stuff in one big thing. A dumb person would watch Modern Family on abc.com (again- because it was SO FUNNY), download Glee songs, and kill time on the internet whining about how much work she has to do. I’m 23. I’m in grad school. I’m not hideously deformed. Most of the time when people in that position talk about, “Oh, man, what a weekend!” they’re usually referring to riotous good times, drunken brawls, major relationship-changing developments, or, you know, things that have something remotely to do with their own lives. I probably mean the fact that the royal wedding and John Paul II’s beatification happened within forty-eight hours of each other then just as I was planning on getting more than two hours of sleep, bin Laden was killed and the world erupted in strangely-happy-over-someone’s-very-politically-charged-death. And that was that. – I can’t believe I’m watching this. -I mean, he was supposed to be mine. -ZOMG HER DRESS DID YOU SEE IT DID YOU SEE THE DRESS IT’S SOOOOO PRETTY ZOMG???? 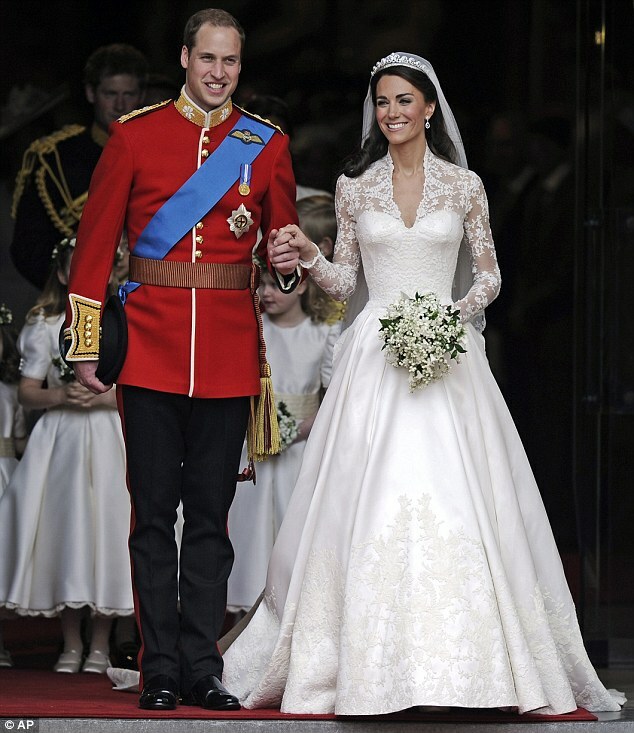 – Kate’s dress was lovely, but it was also exactly what I’ve been planning on wearing to my wedding since I was like 12. What. I plan ahead. – So now it’s going to look like I stole it. – The ceremony was lovely, except I was not cool with the Archbishop of Canterbury constantly making reference to Christ’s union with the Church. For numerous reasons. a.) I don’t like that phrase. Because it’s creepy. b.) The Church? Oh, you mean the one you guys left in 1527? That one? c.) Seriously. It skeeves me out. – I loved that they were actually into each other. – I loved that Prince Harry was already like 48% drunk. – He hooked up with Pippa. Who totally knew what she was doing. – At one point it got so Disney that I was pretty sure bluebirds were going to start holding up her veil. – I’m still insanely jealous. But I’m all really into you, Duchess of Cambridge. So I guess we’re okay. – Benedict’s vestments were also lovely, and they did not remind anyone of Grace Kelly. So good call, Holy Father. – I cried. A lot. – George Weigel was on MSNBC and I spent four hours fangirling George Weigel. That was…totally normal. – I heard those readings like eight times this weekend. – I think that explaining basic parts of the Mass to people up at 4am is pretty silly, MSNBC. I think Blessed John Paul II would approve.